Referrals: How Do You Say Thank You? Yesterday, I posted about the power of referrals and how you can encourage clients to refer you to others. While offering incentives â€“ monetary payments, free services or discounts â€“ can entice and thank your clients at the same time, they’re neither ideal nor appropriate in every situation. So, how can you thank your clients for taking the time and making the effort to refer you to others? I’m a big proponent of hand-written, personal thank you notes. As one of the most traditional ways to say thank you, I find it kind of sad that not that many people take the time to do this anymore. I know many of us are driven by e-mail and appreciate the immediacy of it, so we tend to shoot off a quick thank you message immediately. While acting fast is great, there’s still no reason why you can’t follow-up with a real thank you note. A hand-written note can express your gratitude to the recipient in a way they will likely appreciate and not get from any other format. 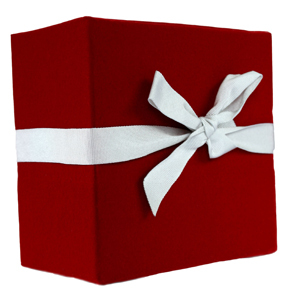 Depending on the type of referral you’ve received, you may want to send the referrer a gift of appreciation. As long as there is not an issue with the client accepting gifts (this may be an issue if you are working with a large corporation or government organization), sending a thank-you gift is a great way to say thanks. It can be something simple like a box of chocolates or a gift basket, or you can send something that shows the type of relationship you have with your client and how well you know them â€“ tickets to a sporting event or even a bottle of their favorite wine. And donâ€™t forget you can also make a donation to your client’s favorite charity instead of giving them a gift directly. If you live in the same area as your client and typically deal with them face-to-face, taking them out for lunch or dinner is always an option. In fact, if the new client they referred to you is also in the same area, you can plan a meal with both parties. This can be a great way to not only say thanks, but to also facilitate potential business development opportunities. Perhaps the best way to say thanks for a referral is by doing the same for your client. Keep an ear out for contacts that could benefit from a connection with your client and be ready and willing to provide a referral. While there are certainly situations when you will want to keep the referral between you and your client, sometimes going public is a good option. Tweet about the referral, add the client to a Partners page on your web site, send a message out to your e-mail list, or offer a reciprocal link on your web site. This not only increases the visibility of your client, but shows other clients how much you appreciate referrals. However you decide to thank your clients for their referrals, make sure you do it right away. This is definitely one action you want to make a priority and not put off to do later. Also, keep in mind the type of referral you’ve received, and make your thank you relative in size, cost and time spent. It makes sense to have different ways of saying thank you for different types of referrals. How do you thank your clients for referrals?